Alpe d’Huez | Vaujany | Oz-en-Oisans | Auris-en-Oisans | Villard Reculas | Formerly known as the Massif des Grandes Rousses and now called “Alpe d’Huez ski area” the ski area of ​​Alpe d’Huez is made up of 7 ski resorts / villages with each its personality: preserved, functional, family, sports. .. they have come together to meet all desires and profiles. Alpe d’Huez Grand Domaine Ski stretches over 10,000 hectares facing south-west, with 4 areas: Oz-Vaujany, Alpe d’Huez, Auris-La Garde and Villard-Reculas. Located between 1100 and 3330 meters high, the ski area consists of 133 pistes (43 green, 34 blue, 40 red and 16 black) served by 81 lifts that will take you quickly to the highest point – the Pic Blanc at 3330 meters altitude – where a breathtaking panorama awaits you. With 50 km of slopes, Alpe d’Huez is a beautiful Nordic ski resort with 6 courses varying between 4 and 20 km. Between balconies and belvederes, vast areas and frozen lakes, Nordic skiing seduces holidaymakers in search of new sensations, closer to nature. 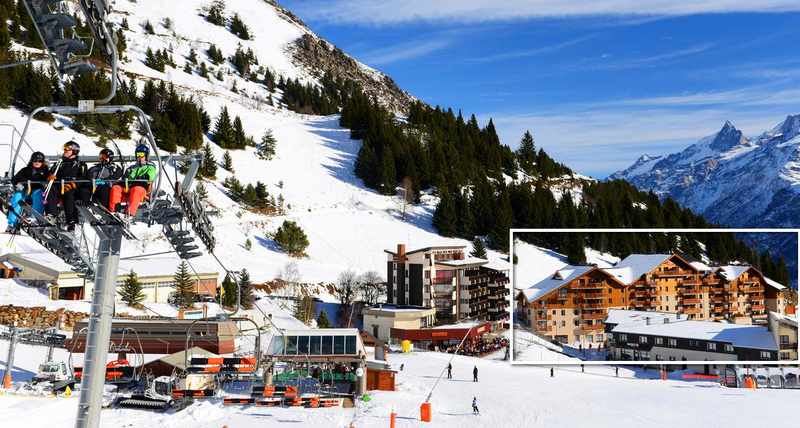 soon grand domaine ski area to be linked to les 2 alpes ski domain to create one of the best high altitude ski areas in the world. Potentially also to be linked some day to Les sybelles.